Adrienne has practiced strata law since leaving the provincial government in 2002. She provides advice to strata corporations and owners regarding a wide range of strata issues including bylaw drafting and enforcement, governance disputes and strata fee collections. She was the former Deputy Superintendent of Real Estate for British Columbia and assisted with the drafting of the Strata Property Act. She continues to provide input on legislative amendments that impact strata corporations and strata management companies. 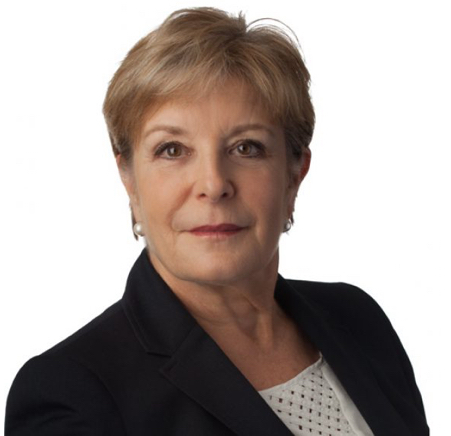 In addition to her practice Adrienne has been actively involved in the development and presentation of seminars to the legal community, real estate industry, strata management industry and strata owners since leaving government in 2002. She co-chaired the Strata Property update courses for the Continuing Legal Education Society between 2006 and 2017 and assisted with the development and updating of two courses related to the Strata Property Act offered by the British Columbia Real Estate Association. Adrienne has prepared and presented a variety of courses to strata managers on behalf of the Real Estate Council of B.C., PAMA, and the Real Estate Institute of B.C. and is a regular presenter for the Condominium Homeowners Association. Adrienne is also a member of an advisory group to the Real Estate Council which is the body that licenses strata managers and is a contributing member and on the editorial board for the Strata Property Practice Manual published by the Continuing Legal Education Society. She continues to provide input on legislative amendments that impact strata corporations and strata management companies.